As much as we all want to know what people are wearing at any given moment in time, perhaps even more intriguing is what they're not wearing anymore. Last month, we gave you the scoop on the ankle boot trend that women across America are officially retiring. This month, we're focusing on the denim trend they're ditching (at least for now). To do so, we again sought the help of our friends at Edited, a fashion and retail technology company that acts as our go-to source for the latest market trends. 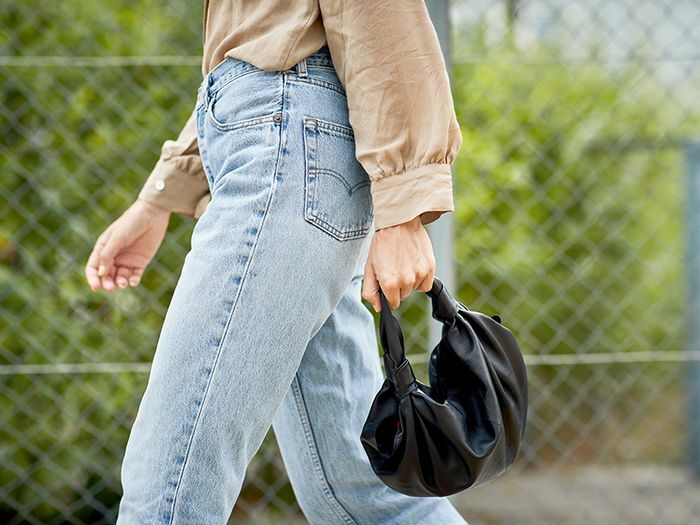 Edited's retail analysis and Insights Director Katie Smith did the research for us and found that the denim trend that's disappeared in 2018 is ripped boyfriend jeans. Smith told us that consumers seem to have had their fill since the style has been around for a few years. "A high percentage of new arrivals in the last three months have ended up discounted already," she added, "with consumers opting for wider or straight cuts as well as updated statement pieces." The good news is that several other cool denim styles are just getting started. Keep scrolling to find out which three trends are everywhere right now (and shop them, naturally). Next up: the top six denim trends to try in 2019.